Flutist Christine Tavolacci presents the west coast premiere of Canadian composer André Cormier's immersive 96 minute work for flute, electronics and video Piling Sand - Piling Stone 4. 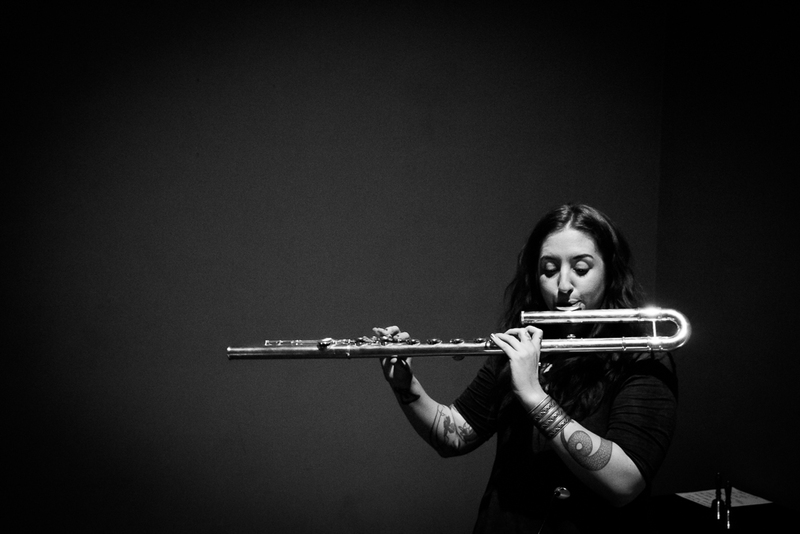 Christine Tavolacci is a Los Angeles based flutist, composer and educator specializing in contemporary and experimental music. She has traveled across the United States and Europe to study and perform, and has been involved in the premieres of many new works, including those by Alvin Lucier, James Saunders, Michael Pisaro, Chiyoko Slavnics, Carolyn Chen and Catherine Lamb. Christine is active as a soloist, improviser, curator and chamber musician both in California and internationally. She is co-founder and co-director of Southland Ensemble, as well as a member of the Dog Star Orchestra and Gurrisonic. Her playing has been released on Orenda Records, Slub Music(Japan) and Tzadik. André Cormier’s work has been presented in Canada, the US, Europe and New Zealand. He has written for solo, small and large chamber ensembles, as well as music for opera, dance and collaborative work with visual artists. His works have been commissioned from a variety of artists in Canada, the US and Europe. In 2004 he founded Ensemble Ordinature and has since served as artistic director. He produced their debut recording of Kurt Schwitters’ Ursonate, which is featured on ubu.com and was favourably reviewed in UK new music magazine The Wire. Along with violist Mieka Kohut and artist Donna Kelly, Cormier co-founded CO•LAB, a multi-disciplinary collaborative project.